Will Reds move for talented stopper? Since signing for the Spanish giants during the summer for a massive €17m fee, he’s been given very little playing-time, with manager Luis Enrique preferring fellow summer signing Claudio Bravo. As a result, the Mirror and the Daily Star have been linking us with a potential move for the 22-year-old, but due to Barcelona’s transfer ban (they can’t sign a player until January 2016), they’ll surely only consider a loan deal until the end of the season rather than a permanent transfer. “It’s good to be at Barca but the situation is difficult. 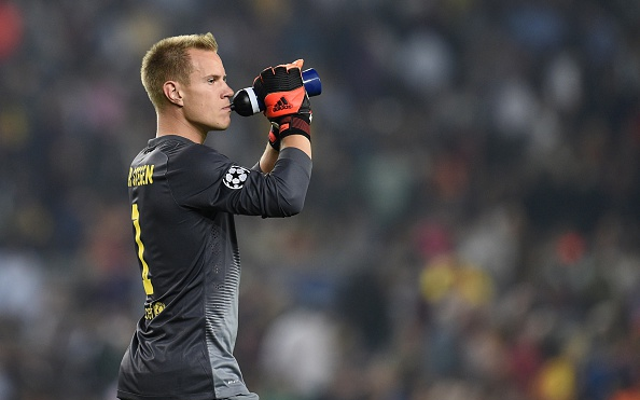 I’d be lying if I said I didn’t care and it isn’t easy being a spectator,” ter Stegen told German daily Bild. “I want to be the No.1 and I’m convinced that’s something that will happen if I continue to improve and work hard. If ter Stegen was available to borrow, we’d be mad not to consider the possibility of securing him until the end of the season. With Simon Mignolet and Brad Jones simply not up to scratch this campaign, a new goalkeeper surely has to be a priority this January – with crucial Premier League, FA Cup, League Cup and Europa League matches coming up in the next two months.